Zombies. The walking dead. Flesh-eating beasts. Whatever you want to call them, the fact is that these monsters are all the rave these days. Forget vampires, when you can have these uglies with no positive characteristics to accompany their demise! 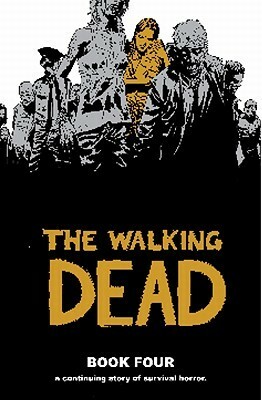 Kirkman, author of the popular graphic novel series The Walking Dead has taken zombies to a whole other level complimenting them with brilliant characters to live and survive in a post-apocalyptic world. I originally was hooked on this world thanks to the AMC television series, but after reading the first few books, I discovered how much they really had to offer. From black and white art that packs a punch to surprising twists and characters with unmeasurable strength, I realized that the books have so much more to offer than those on-screen. In The Walking Dead: Book Four, a reader's span of emotions is truly tested. We witness the birth of a child, bringing joy into a harsh world. However, by the end, I was so angry at the death of a character that I wanted to throw the book across the room! I had such a strong reaction to the ending that I even began questioning whether I wanted to continue with the series. I picked it up ONLY because the book was sitting on my desk, recently retrieved from the library. The Walking Dead: Book Five brought some redemption. After the angry ending of the previous book, we are only left with a few familiar characters. They face even more unimaginable scenarios, but are soon found with additional allies and new characters. I question the motives behind at least one of these newbies, leaving me desiring more of the story to see if my theories are correct. 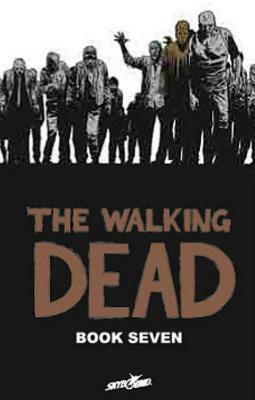 In The Walking Dead: Book Six, my confidence in the series becomes completely restored. Our main characters find themselves fighting the living and the dead. They discover an almost impossible community. 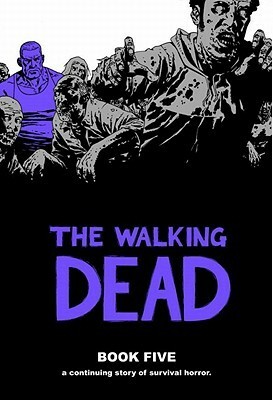 And, Kirkman leaves the reader wondering if the series will begin wrapping up into a new utopia. The Walking Dead: Book Seven destroys all hope of a change for the good! Monsters return in full force. Bad things happen again and again. And, the ending leaves the reader in such unbelievable suspense that I even found myself confused with how I should feel about the story as a whole. Overall, the series has sent me on an emotional roller coaster ride that only leaves me wanting more out of simple curiosity. Will the author bring sunshine and hope back into the survivor's lives (they obviously deserve it!) or will he continue to beat them down book after book? I just cannot look away from their lives! 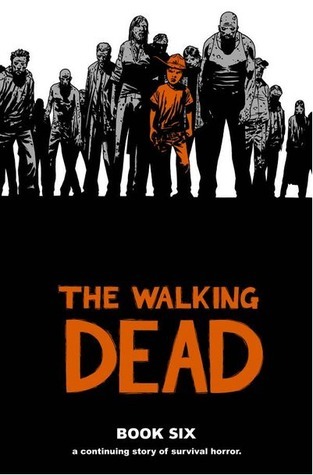 Fellow Walking Dead Lovers: Tell me I am not alone on my whirlwind of emotions! Do you find yourself reacting strongly to these books, positively and/or negatively? Special Note: This fan has only seen through Season Two of the popular television series. Please no spoilers since the story lines tend to differ!